While family-themed films and blockbuster flicks have traditionally fared well in the holiday box office, some moviegoers may want to peruse more low-key indie pieces during the long Chuseok break, lasting stretching from Sept. 30 to Oct. 9. A number of Korean cinemas specializing in indie pieces, such as Indie Space, are offering a selection of delightful small-scale films. Hyun-woo’s father, Kim Jung-woon, has been fired from automaker SsangYong Motors during the massive restructuring of 2009. Union members protested for 76 days following the decision at the Pyeongtaek factory. Some 64 union members were arrested during their protest. Hyun-woo witnessed his father going to prison when he was nine. Only in the spring when he turns 15 does he come to accept that his father was an odd kind of brave hero. The film traces the impact of corporate restructuring on families through the eyes of a young boy. The film screened at the 8th DMZ International Documentary Film Festival which took place in September. 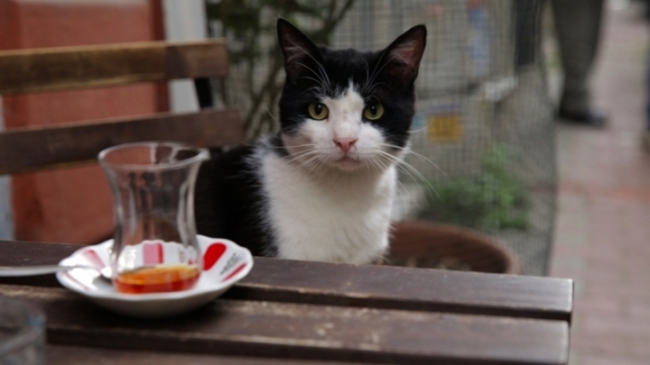 “Kedi,” a documentary by Turkish director Ceyda Torun, tracks the stories of seven cats that live on Istanbul’s streets. The cast of cats -- Sari, Bengu, Aslan Parcasi, Psikopat, Deniz, Gamsiz and Duman -- lives between two worlds: they have no owners, but require assistance for sustenance. Neither wild nor domesticated, the cats wander the city’s streets among its residents. The documentary captures how for thousands of years, cats like these have wandered in and out of people’s lives, becoming an essential part of the city’s communities. The cats eventually serve as mirrors to people, who come to reflect on their own lives through the roaming felines. “Kedi” screened at the New Zealand International Film Festival in July. Divided into three chapters, the film moves from a witty portrayal of an actress’ not-so-glamorous everyday existence to a gently moving contemplation on life, death and art. A timid, 40-year-old poet, played by director-actor Yang Ik-june, leads an uneventful and uninspiring existence on Jeju Island. Jeon Hye-jin plays the devoted wife who cares for her husband despite his lethargic activities. This is the setup of director Kim Yang-hee’s “The Poet and the Boy,” which screened at the Toronto International Film Festival in September. The poet wonders what true poetry is when one day, he experiences a life-changing encounter with a handsome young man, played by Jung Ga-ram, at a donut shop. The young man incites new and tumultuous emotions within him, setting off a new turn in the dull poet’s art. The film received the audience prize at the 19th Jeonju International Film Festival in May.